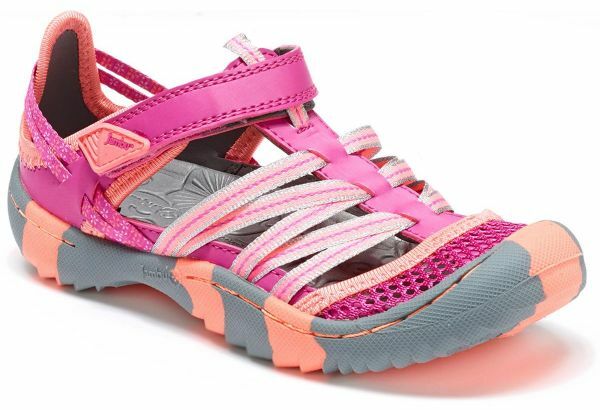 Jambu's most popular girl's sandal is back with fresh new pops and colors. The Dusk 2 is the ultimate play-ready sandal for outdoor adventure. This stylish sandal includes beautiful sparkled webbings, an easy to adjust hook and loop closure, a protective bump toe, and our gripped non-marking rubber for fun on any terrain.